Historic site of 1800's Grist Mill. 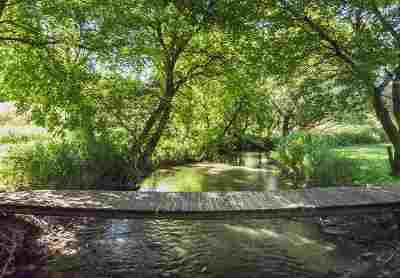 2 natural springs and 1500 ft of Maunesha River frontage runs through 11+ Acres in the town of Bristol located on a dead end road. Easy access to Hwy 151 close to shopping, schools, and work, just minutes from Sun Prairie and Madison. Hunt-fish-camp or build in this beautiful setting much like your own county park! There is a metal barn with stalls, tack room and storage for horses or other hobbies. Bring your horse, atv, dirt bike or take a walk in your well manicured trails.